There are a number of reasons why you may need to conduct a county jail inmate search. You may need to reach a person who is incarcerated or you may be curious if someone that you know is currently being held. Whatever your reason, here's how you can find out if a particular person is incarcerated in a county jail or holding facility. Make sure that you have the person's full name written down and that it is spelled correctly. It's also a good idea to have any aliases or nicknames that the person goes by written down as well. You'll need to have all of this information handy so that you can input it online or read it to a jail clerk. Check to see if your county has a website that you can use to access inmate information. Many counties use a system like this to simplify access to public records like jail information and also to lighten the workload placed on their institutional staff. If your county has a site like this available then it is usually all that you need to use in order to complete a thorough and accurate search. Call the jail and ask to speak to the county jail clerk. Once this person is on the phone they may be able to verify whether a certain person is currently being held. Some jails will not give out information over the phone, but it's worth a try to check before you continue further. Visit the jail in person and inquire about their inmate roster. This is usually public information that you can use to determine if the person that you are looking for is incarcerated. Depending upon the specific policies at your county jail you may not need to search the whole roster yourself and may be able to provide them with a name that they can use to confirm if that person is currently being held there. Talk to your county sheriff's office and ask them if they can give you any information about the status of an inmate. Most of time the sheriff's department is the law enforcement agency that handles all of the county jail records and registrations, so if you haven't had any luck dealing with the jail directly you can contact the sheriff's office and see if they can further assist you. Wait a little while and try your search again. Sometimes county jail records aren't always updated like they should be and if you can take a break and repeat your search in a few days you may have better results. Contributor. "How to Perform a County Jail Inmate Search." 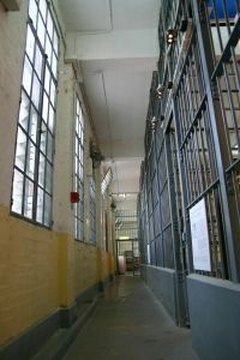 , https://legalbeagle.com/5638544-perform-county-jail-inmate-search.html. Accessed 19 April 2019.